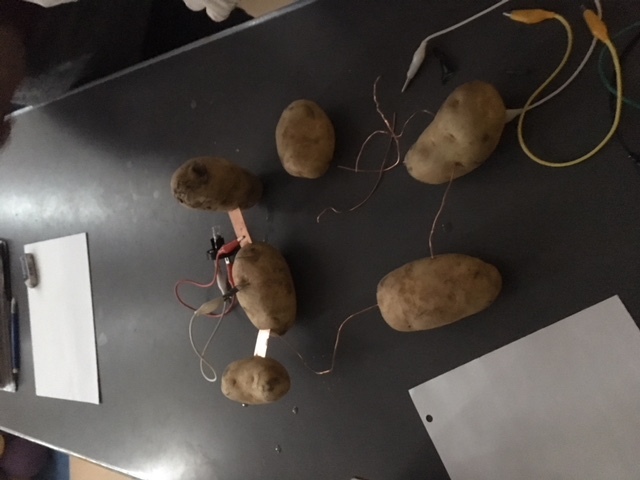 Today we tried to make a potato battery to light up a light bulb. 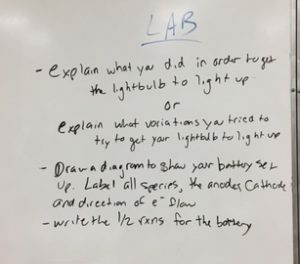 We were unsuccessful in lighting the bulb but we were able to get a voltage reading on a voltmeter of about 0.7V. Tomorrow we will use the battery we created to try to power a calculator.